Sentou might be found at either of its chic Parisian addresses: rive gauche or the marais. However the beginnings were not boutique but something altogether different. 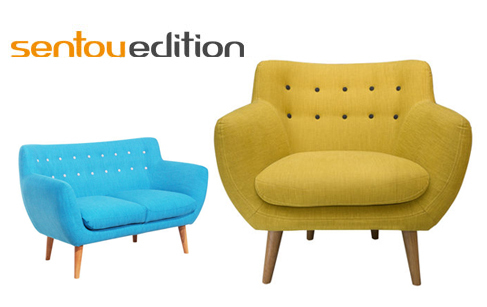 In 1947 in the Perigord, Robert Sentou wanted to manufacture and produce the designers of the day. In 1977 he opened his first boutique and in 1986 this boutique was transformed into a ‘design gallery’, which considering the collaborations with Roger Tallon and Roger Fatus was a logical evolution. Sentou’s pioneer origins however were firmly established in design history in the early 90s when they signed an exclusive contract with the Noguchi Foundation in New York. Sentou affirmed this inviolable status by then editing and manufacturing designers under its own label ‘Sentou Edition’. The collection ranges from furniture to objects and lighting.